Some more pictures from the OC Expo! Krew member and fellow Crops2Remember organizer Naomi tooks some pictures at Expo while I was teaching class and working in the booth. Thanks for sending these over, girl! And, agasin, a big thanks to my family and Kerew for stepping up to make my first Expo such a success! Getting ready for the acrylic album class. Krewmember Cheryl helps out a participant. Some of the Krew, from left to right: Liz, Jodie, me, Cheryl and Naomi. Showing off the class sample. The make and take table was always busy ... Krew member Kathi was a huge help with it; Liz and my DH Rodney help cut wire. I actually did get to work in the booth a little bit, LOL ... my Mom handled the cash register most of the time. 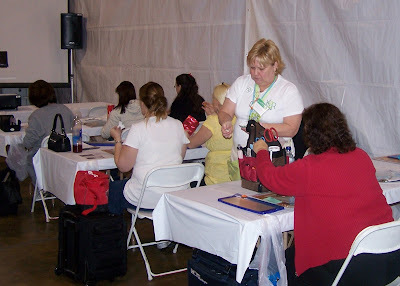 I need a few more volunteers to help me in my booth and classes at the Bay Area (Pleasanton) Scrapbook Expo March 14 and 15. I could also use two burly men to assist with hauling in boxes on March 13 and hauling them back out the evening of March 15 ... 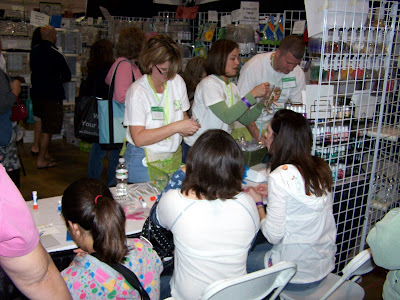 I will compensate for your time: Each booth/class volunteer will get a K2R Krew T-shirt and class kits mailed to them before the event, and then free admission the day(s) you work and a goodie bag of acrylic product. Hours we need volunteers for are 8:30 a.m. to 6 p.m. Friday and 8:30 a.m to 5 p.m. Saturday. While we will be busy, I promise we'll have fun, too! If you are interested - and are reliable - please send an email to jessica@kits2remember.com with your hours of availability. Is it really true ...? Did Heidi Swapp really call me today and tell me that I was chosen as the winner of Creative Escape's Treasure Hunt for a teacher!? The Yahoo! message boards seem to reflect that, so I must not be dreaming! Can I just say that I am in a total state of shock and awe ... I guess there will be a CE seat up for the next person on the waiting list! Yeah, I got the call this afternoon .. the phone line cut out when the person said who she was, so I had to ask her to say it again ... I think I was polite about it ...? I am so honored and incredibly excited. I knew I must have been in good company as far as applicants went, so it is amazing to be chosen. I hope to create a fabulous project that everyone will enjoy and learn something from! And a HUGE thanks to Randy, Karen and the gang at The Red Bee for sponsoring me ... I really appreciate it! But, um, seriously, is someone gonna pinch me soon? 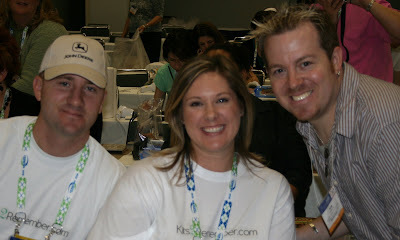 I mean, really, do I get to teach along side Heidi, Jenni Bowlin, Tim Holtz, Kolette Hall? Simply amazing ... Visit www.creativeescapeaz.com for more details! Diva Danielle was kind enough to have me on her web radio show, The Diva Craft Lounge, with her and her co-host Rayme, today. Wow! What fun! It is so obvious why they have thousands of listeners across 63 countries. And it was such an honor to be a part of the show, sharing tips and tricks about acrylic. Check out the archived show for yourself: www.divacraftlounge.com And in the words of my hostess: Have a Diva Day! ... but, boy was it a lot of fun! There are some of the pictures I took with my Dad's camera on Saturday, or ones he took ... I know Krewmember Naomi took some, too, but I haven't gotten those back yet. I was just too darned busy to take any photos! 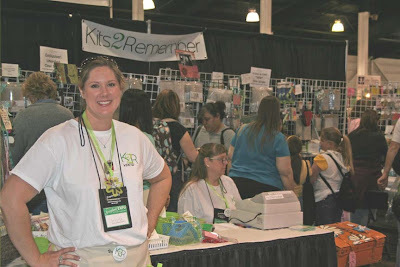 Thanks to everyone for helping to make Kits2Remember's first Scrapbook Expo such a success! I taught two classes each day and my acrylic album class sold out each day. While my acrylic wall decor class didn't sell out, I always had close to 30 people in it, so not too shabby for my first time teaching at an Expo. It seemed like everyone had fun in class, and most importantly, LEARNED something. I want to thank my volunteer Krewmembers who were kind enough to offer up their time and scrapbooking expertise. 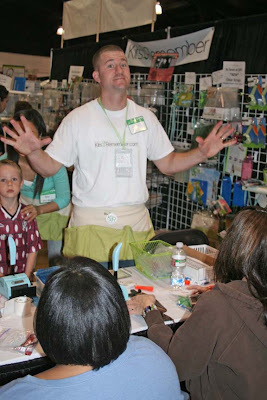 You might have seen or met some some of them if you stopped by my booth or took a class from me. Having them around really made everything go so much smoother! So, a huge thanks to: Kathi, Cheryl, Tiffany, Lori, Jodie, Inez, Monica, Martina, Liz, Jennifer, Angie, Stacy, my sis-in-law Gina, my DH Rodney, my Dad Mark, for watching my kids, and to my Mom Nancy, who happily ran my cash register and credit card machine (despite how many fits they gave her!). 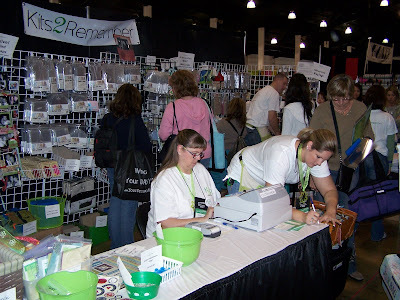 I am looking for some responsible volunteer Krewmembers for the Pleasanton, CA, Scrapbook Expo next month, March 14 and 15. You'll get some class kits, a Krew T-shirt, a goodie bag with acrylic product, free admission the day you work, plus some other odds and ends. I could also use some burly men to help me haul stuff in on the 13th and haul stuff out the evening of the 15th. No more than two hours or so each day. If you are interested, please email me at jessica@kits2remember.com. Growing a successful business is taking a lot of my time and I am just not able to create as many high-quality project samples as I would like. That said, Kits2Remember is looking for four fantastic designers to launch the K2R Design Krew. 2. Continue to meet short, but reasonable, deadlines for stunning, unique projects prior to consumer shows and for the idea gallery on the K2R web site. 5. Post your creations to online galleries, blogs, and promote the product on message boards. 6. Submit your work for publication to trade/consumer magazines on a regular basis. 2. Your bio and creations on our web site. Please submit 3 projects that showcase your favorite work! Your projects do not need to be created for this call. Altered albums and acrylic album designs would be helpful, but other paper crafting projects would be fine. Just give us a sampling of your best creations. Please limit your files to 150kb each. 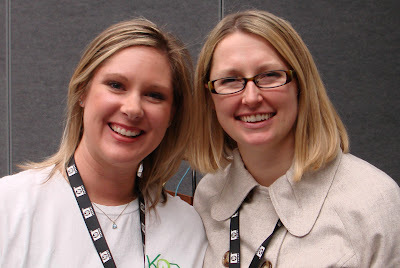 The new design team will be announced in March on the K2R blog. Kits2Remember reserves the right to terminate the relationship with a member of the Design Krew if responsibilities are not being met. Well, the booth is up and I guess we're ready ... not much time to write tonight though! 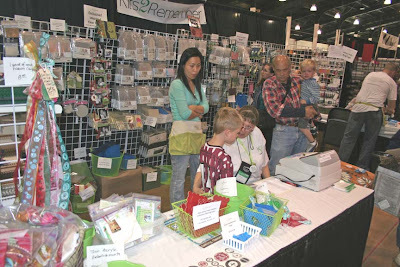 Kits2Remember will be debuting at its first Scrapbook Expo in Costa Mesa, CA, tomorrow! If you are in the area, be sure to stop by ... I saw some great stuff in other booths, too! As for K2R, I have two new acrylic album kits up for sale, pictured above. Not to mention plenty of acrylic, BragTags, Clear Scraps shaped acrylic albums and so much more! Plus, if you're up for a class, there might be space in one of my two classes. When you get there, look for the 9 a.m. 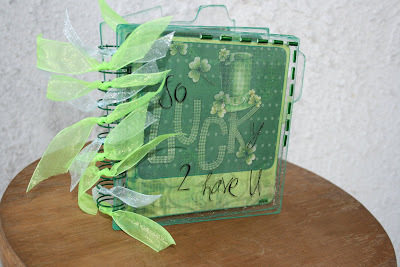 Crystal Clear Home Decor class and the 10:30 a.m. "Why I Love You" 6 x 6 album class. There is actually no title on the book, so it can be used for any occasion! Hope to see some of you out there! I went back to CHA today with my quilter Mom, Nancy, and I had a great time showing her around the show while I finished my "shopping." (Details on my purchases at a later date!) While we were there, I was the lucky recipient of several fabulous prizes: Making Memories rewarded me twice for wearing my "slice" t-shirt, once randomly with a mini stapler (it was GREEN! K2R color!) and four packs of colored staples, and once with a triple-bag prize of some of their latest product in their 2 p.m. raffle. They also gave away a ton of their new design-cutting tools, the Slice. 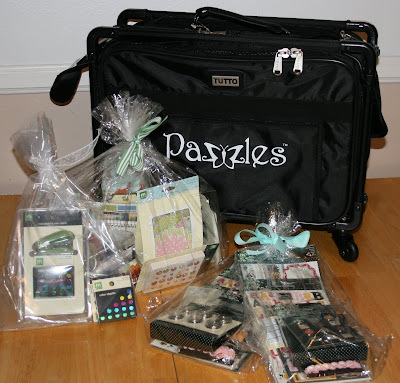 Then, off to the Pazzles booth at 4 p.m. for their raffle. I have one of the new Inspirations on order and was so pleased to win one of their Tutto bags! So fun! Collecting cool stuff from scrapbook companies is so much fun! While I did place some orders, like Basic Grey Boxer (after all, I DO have three boxer dogs! ), foam stamps from Pebbles Inc. (any of you looking for the heart or flower stamps I used in recent classes, you'll want to check the Kits2Remember site, cuz they'll be available soon! ), new products from Zutter and Theresa Collins, etc., I did collect even more catalogs to peruse over the next few days and some fabulous free stuff! Take a look at the photo above for a sampling. 1) 'Tis the season for industrial-strength corner rounders. Both Zutter (Round-it-All)and Around the Block (The Paper Gator) are releasing corner rounders that can cut through chipboard, amoung other things. 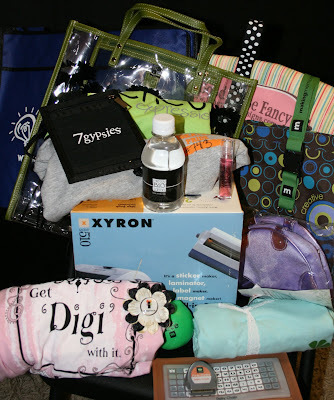 2) Provocraft has fabulous giveaways, can't miss bright green shirts and a hot product in the Cricut, but the cheer is noticably strained when the crowd is asked if they love Provocraft. 3) Odd discovery: McGill Inc. (as in great punches) sells gavels. Order in the crop room! 4) Speaking of punches, Making Memories has a new automated die cutting system that "can fit in the palm of your hand," called the Slice. 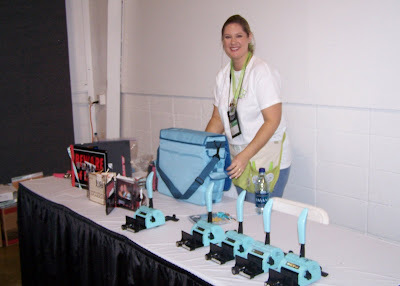 I saw it demo-ed, and it looked very interesting, since their cartridges (similar to cricut cartridges) match their Noteworthy and Animal Cracker lines. But is it a "slice" of heaven? I'd have to try it myself. 5) It's fun to see 'Lil Davis back. 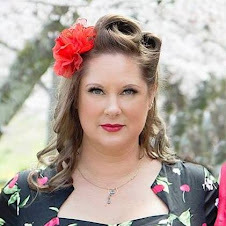 The line seems to fit well with Fiskar's other lines, including a new vintage-inspired one, Kimberly Poloson. 6) Basic Grey's new lines are beautiful. I still must maintain that they are my over-all favorite paper line, kind of like Aerosmith is my all-time favorite music group. Sure there will be spurts of papers that I enjoy, like Top 40 hits or an occasional sound track, but there are only a select few that are timeless classics in my stash. BG is one of them. I am not a big "make and taker," but I had to stop and use some of the new (and old!) 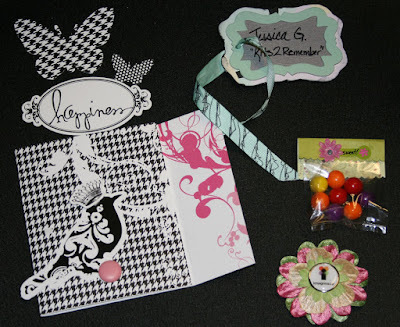 product from some of my favorite manufacturers ... Heidi Swapp, with the black and white lines (card) she has been blogging about, Luxe Design's new papers (luggage tag), Imaginisce's flowers and company brads, and a cute gum ball part favor from Fiskars. Crops2Remember partner and fellow Fiskateer Naomi was the one hosting the Fiskars make and take when I stopped by. Plus, I just happened to get there in time for a big Fiskateer T-shirt signing party! Lead Fiskateer Stephanie was handing out fabulous Fiskateer T-shirts that showed off our Fiskateer Pride ... not to mention your number (#743 here!). I got these Fiskateers to sign my shirt: #343, 1794, 859, 2074, 839, 397, 84, 393 and 99! Hopefully I can collect some more before CHA ends. 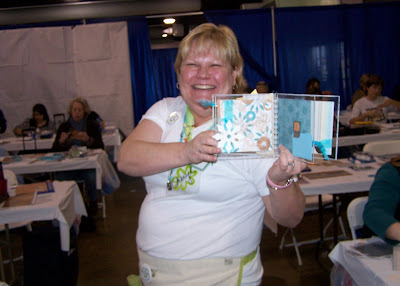 Spread the love of paper crafting by becoming a Fiskateer yourself (it's free! ): www.fiskateers.com. Fiska-Me, Fiska-You, Fiskateer is what I do. Fiskateers! 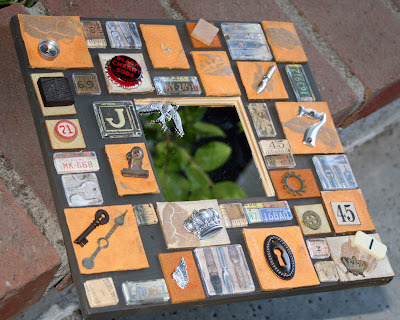 No, I am not talking about Rodney, the King of the K2R Krew ... more like Tim Holtz, the distressing darling of the scrapping world. 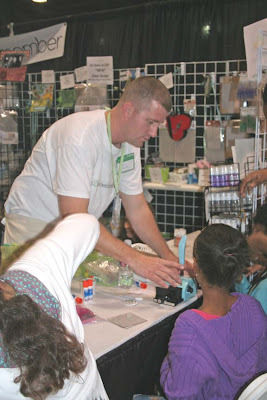 Rodney and I were fortunate enough to get seats in his sold out "Distress-a-palooza" class at the Craft and Hobby Association's World's Fair at the Anaheim Convention Center Saturday. While I was more familiar with the the Ranger Industries' line of Distress products, both Rodney and I were introduced to new applications for several distressing media, including embossing powder, crackle paint, distress ink, acrylic paint dabbers, the fabulous Tonic scissors and more! 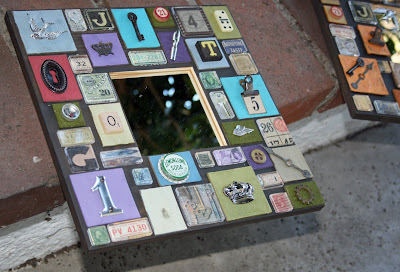 We had a blast working with the acrylic fragments and Bazzill chipboard to create the decorated mirrors seen above. Can you guess whose project is whose? Oh, and we got to KEEP the products listed above (three ink pads, embossing powders and crackle paints each!) AND Tim handed out CDs of his paper line that was recently discontinued ... well worth the $30 ticket price! A helpful hint Tim gave us: When using the crackle paint, a medium layer of paint works great. Also, for the best results, let the crackle paint start to crackle before you turn a heat source on it! 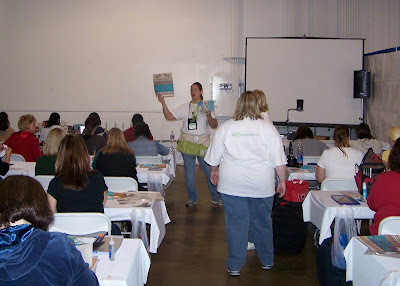 1) Ali Edwards' class on teaching and promoting scrap classes, Life Art 101. Great class! I was proud to see that I was already doing a number of the things she suggested but was thrilled to walk away with a lot of fresh ideas for making my classes even better. One tidbit I think I will try: spend a few minutes before each class to pull a few of my favorite things from the store shelves and share these during the class. That way people become educated on new supplies and tools, and, if the items happen to be purchased that night, the store benefits, too, with the sales. Ali and CK Media were also kind enough to give each attendee her book: "Life Artist," which she autographed. 3) Meeting fabulous people! I met a lot of guys and gals like me - entreprenuers with fledgling, but promising businesses. 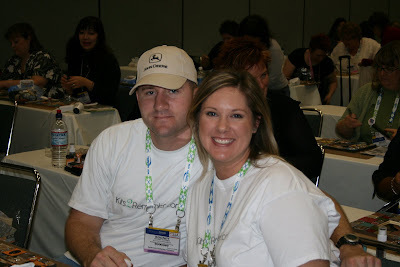 A couple of the ones that intrigued me were Scrapblog and Digital Scrapbooking Files. 4) Playing with the "Big Boys." 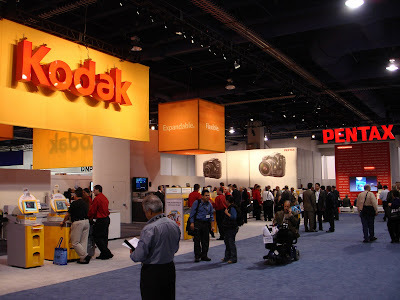 Just about every country was represented by exhibitors or attendees at the PMA (Photo Marketing Association) trade show. 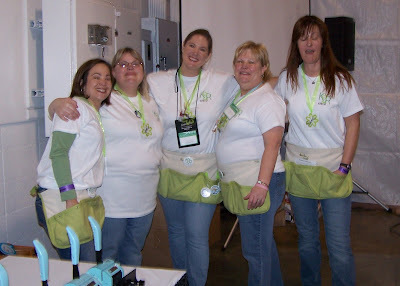 It is clear why so many people in the scrapbooking industry think scrapbooking should join in with PMA. 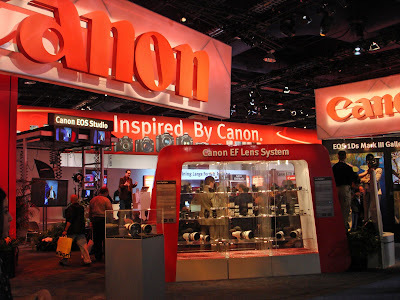 Huge companies were showing off their newest and most innovative photo technologies: Canon, Fuji, Kodak, Pentax, Epson, HP, Samsung, Sony ... the list goes on. But there were also plenty of smaller companies that caught my attention, many of which would blend in with traditional scrapbooking very well! But more on them later. 5) Shopping! I placed a few orders for *new* product! 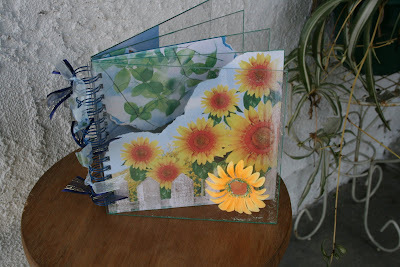 I have some new idea books for acrylic projects coming from Design Originals, so watch for those soon. I also ordered some of the *new* Wild Asparagus paper from My Minds Eye, as well as some from their Street Market line. This will be for kits/classes coming up for the spring/early summer! Also, K2R will soon carry the Crop-a-dile Big Bite (look for it in March!) and all sorts of Gromlets to use with it. And good news about the case! If you bought your Big Bite on HSN and have screw-off feet, We R Memory Keepers has redesigned the Big Bite since then to have slide-off feet that can be taken off in a matter a moments so the Big Bite can be easily stored away in it's case. Just contact We R from their web site: www.weronthenet.com. 6)No one was there! 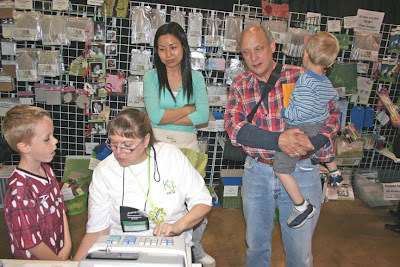 Because so many store owners and teachers decided to stay home and only go to CHA next weekend, I was able to chat with the manufacturers longer, and find out even more about their services and products. Plus, I was able to chat with Ali E without rushing away so the next person could have their time with her, plus I got to know CK editor Brian Tippetts a little bit while I waited between classes. 1) No one was there! 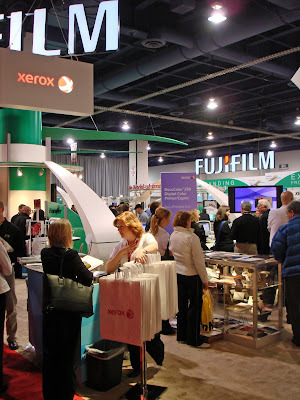 Because manufacturers pulled out by the dozens, there were only about 6 of them in the "MemoryTrends" section of the show (also known as PSRO - Professional Scrapbooking Retailers Organization - division of PMA). The nu,mber of classes was significantly reduced, as well, but the MT organizers are refunding me half of my money because of that. But still, as I looked around PMA as a whole, I really think the scrapbooking industry missed the boat on the show. There is a lot of potential here to cross-promote between the different photo industries (in fact I am in negotiations with a few companies now to bring new ideas around). But, on the flip side, I know it is tough for manufacturers and attendees to set up and go to one show and then have to turn around and be somewhere else less than a week later. PMA is in Macrh in 2009 and while I do not yet know the dates for CHA, hopefully there can be enough time so that more people can do both shows. 2) There was a lot of miscommunication between Memory Trends, PMA and me as an attendee. It took me almost two hours to figure out where I was supposed to be Thursday with what paperwork because the info desks all sent me to different places that were wrong. In fact, when I finally got to my first class (Ali's) without a moment to spare, I did not have the tickets I was supposed to have. Thank goodness they let Rodney and I in, anyway, and we straightened it all out later. But, for the most part, I must say that I am pleased I came to the show. I have made a lot of contacts, seen a lot of SoCal friends and learned, not only about scrapbooking, but about the photo industry as a whole. And I am very much looking forward to CHA next weekend so I can compare and contrast the two.